The following year saw Waverly, New York in sunshine, but if anything colder than ever. It was January in upstate New York, after all. 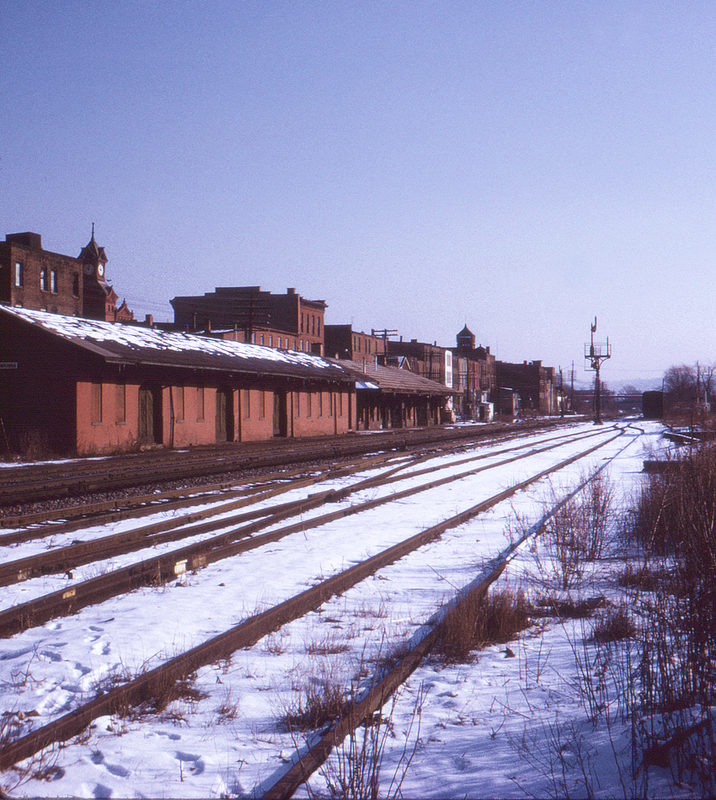 This day the former Erie main at left and the Lehigh Valley at right are both quiet.